It’s a tale of two facials, really. 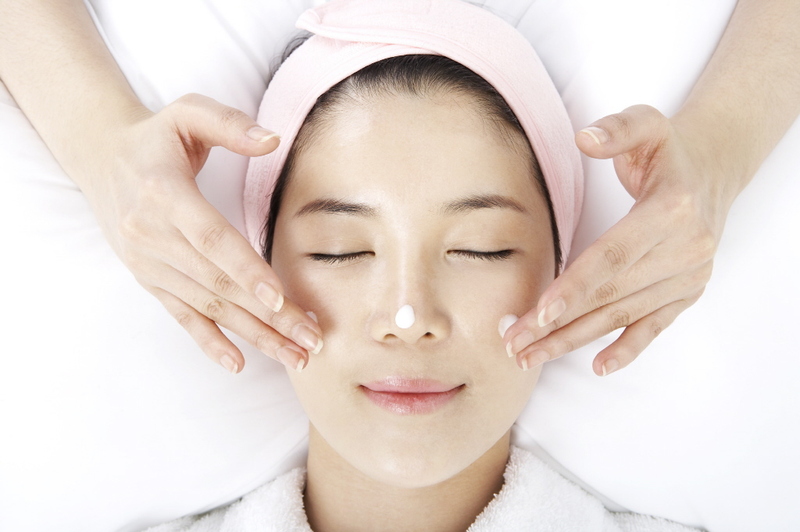 The American facial and the Korean facial. Each can be amazing. Each has its pros and cons. But I definitely prefer one over the other. I’ll let you know which I prefer after I break down the difference between the two. What made me really think about the difference between American facials and Korean facials were a few experiences I had recently. One was a straight-up American facial at a beauty supply chain; the other a facial at Neiman Marcus by Sulwhasoo. In case you’re not familiar with Sulwhasoo, it’s a Korean premier beauty brand, part of the AmorePacific family (along with other lines like Laneige, Hera, Iope, Aritaum and Innisfree). Sulwhasoo is based on Korean herbal remedies and relies heavily on its signature ingredient, ginseng (indeed, many of its products have a medicinal herb scent). Sulwhasoo also makes my all-time favorite cushion compact, so needless to say, I’m a major fan. So what are the differences between American facials and Korean facials, and which should you go to? I break it down for you here: what to expect, what to pay, and where to go. I’ve been going to a Korean facialist at Gloria Skin Care, on and off, since my early 20s, thanks to my mother. Koreans are fanatics for facials and massages and scrubs. In fact, traditionally Koreans refer to a facial as a “massage”; for the body, they prefer exfoliating scrubs (ddae-mireo) at the local mokyoktang or bathhouse. 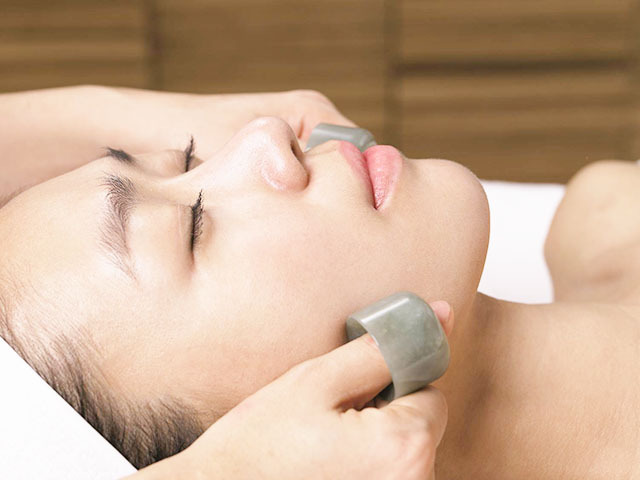 It makes sense that they would call a facial a massage because most of the heavy lifting in a facial is a massage where the facialists uses the fatty part of her palm and the balls of her fingers to knead, lift, contour and even lightly slap the face, neck, shoulders, upper back and sometimes even breasts into shape. The massage part lasts a good 20 to 30 minutes, so it’s nothing to sneeze at. I sometimes wonder how my facialist manages to last that long each time — her touch is incredibly firm but gentle; you literally feel like a lump of dough being kneaded into place. For me, the massage is by far the best part of a Korean facial. Not only do I feel like my skin’s gotten a serious Spin Cycle-esque workout but the rhymthic kneading and probing feels incredibly relaxing. Not fall-asleep relaxing, like most American body massages (what’s the use of getting a massage if it’s so soothing that you fall asleep and don’t get to actually feel the massage? ), but deep-breath-exhale-I-can-tackle-the-world-now relaxing. After a quick swipe of lotion on my arms and hands, she removes the mask, which has hardened a bit, but not uncomfortably so. Then she’ll apply a serum, some face lotion, maybe some “sun cream” if it’s earlier in the day, sit me up, and give my back a couple of cupped slaps (which results in a much louder noise than the effect would warrant), heralding the end of my blissful 75 minutes in her heated massage table. And for all this, I pay $40 per facial. No, that’s not a typo. Forty dollars for 75 minutes of facial bliss. The Vitamin C Infusion facial, courtesy of Murad. I’ve been to American facialists here and there, though I will admit not regularly the way I do Korean facialists. Nonetheless, I’ve noticed distinct consistencies with the way an American facial is done. First, extractions are the order of the day, not facial massages. It’s all about getting the gunk out. In fact, I’ll admit, the best American facial I’ve ever had was at Murad at their flagship Inclusive Health Spa in El Segundo, California, where the facialist was so good at extractions, I didn’t feel a thing. (Not so at most facialists — extractions are known to be tear-jerkingly painful.) I had the vitamin C facial, and my face felt tighter and firmer for days afterward (not to mention clearer and smaller pores). If only I could afford the almost-$200, 50-minute facial regularly, I would. Before the Sulwhasoo facial, I was treated to a facial at a beauty supply chain I won’t mention here. Forget the back room, sort of ghetto feel of the venue — the Sulwhasoo facial was done in a back room at Neiman Marcus’s beauty floor, so I’m not going to be picky about that. But the facial typified to me the worst of American facials. First, anytime her fingers touched my face, it was lackluster. I’m talking, she barely touched my face. It was like she was afraid to touch my face lest she do some damage. When she “massaged,” she barely made a dent in my skin (which is all too easy to do, given the loss of volume and sagging I’ve been experiencing lately). When she “applied” sunscreen, I knew I had to sprint to my car, hands over my head, because she definitely went nowhere near a quarter-size dollop needed for adequate UV protection. Her fingers “swept” over my face, tickling it more than massaging it, and every step seemed to be done in increments of nano-seconds. I guess you’d have to in order to fit everything into a 50-minute massage. And yet, for all this overly gentle handling, the bulk of the facial was this burning, searing glycolic peel. Now I’m no stranger to glycolic peels. I’ve had them done, I’ve done them at home. But never have I experienced such fear with regard to skin care until I felt the burning slowly accelerate into a panic-filled moment on the table. “It really burns,” was all I could manage. Yup, that’s jade she’s using to massage her face. My Sulwhasoo facialist didn’t use that on me, but I was told she does on other clients. I was invited to get a facial at my local Neiman Marcus, which happens to be in Beverly Hills. It’s actually surprising that most high-end department stores have back rooms where clients are given facials. I had gotten facials at Neiman Marcus before for other skin care lines, and truth be told, I was underwhelmed. But the Sulwhasoo was different. And I think it was different because it combined the best of Korean skin care with American sensibilities. The first thing the facialist did after I got into my gown and laid down on the table was offer me four different scents to whiff. She explained that this was based on tradition where the old kings of Korea would get acupressure facial massages with different essential oils based on what they needed that day, whether it was concentration or tranquility, etc. Three smelled really herbal and medicinal — one was sandalwood — so the fragrance nave in me picked rose plum, which my facialist said was quite popular. She placed a towel over my face and took her time pressing my acupressure points as I inhaled the scent. Then my facialist proceeded to double cleanse my skin with an oil cleanser, which she massaged onto my face quite thoroughly with the fatty part of her palm and balls of her fingers (heaven! ), finishing with a gel cleanser. Next came an exfoliating scrub, and she used the opportunity to again massage my face (double heaven! ), always using her palm and balls of her fingers. She applied what seemed to be serums and then a light massage gel, which she used to do a full-on Korean facial massage. Actually, it wasn’t your typical Korean facial massage — it was a really elegant, more upscale version of a Korean facial massage. She massaged and outlined and lifted the contours of my cheekbones, my jawline, around the eyes, always lifting up and out with the fatty part of her palms and the balls of her fingers. It was if she were trying to defy gravity. The massage lasted a good amount of time, and she even massaged my shoulders and upper back, kneading out little knots, which was a huge plus. After the massage, she applied a rubber mask, even covering my eyes, which was a first for me. (She warned me ahead of time.) Surprisingly, the mask doesn’t get in your eyes at all, and after about 10 minutes, she peeled it off, but not before giving me a mind-melting scalp massage. 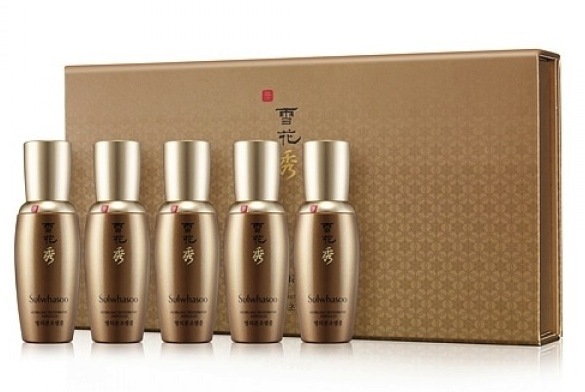 Five adorable bottles in the well-appointed Sulwhasoo Herblinic Restorative Ampoule. She finished off the facial with the application of five to six products, including the Sulwhasoo First Care Activating Serum (a pre-serum booster that I am addicted to), a hydrating toner, a serum and then an emulsion (in that order — Sulwhasoo has their own specific order for their products). She also applied Herblinic Restorative Ampoule, which you use for two weeks every season to reset and rebalance skin. What have your experiences with facials been? Do you get them regularly?